At Financial Success SA we have a passion for Ageing services and helping families to get from A to B on their journey of financial success. We strive to take the worry and stress out of a loved one entering residential care. 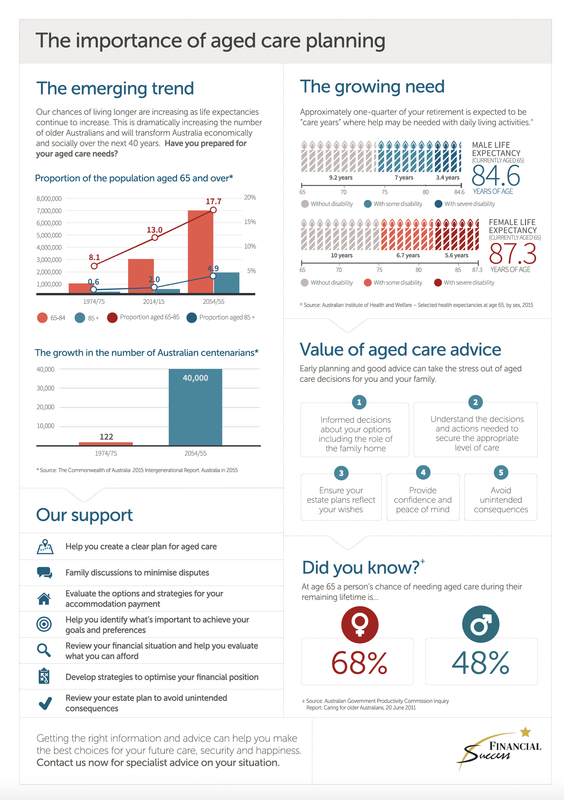 Our role is to guide you through the process of residential care placement and provide an objective analysis of your Aged Care options. From estate planning to maximising Government Ageing entitlements and understanding tax effective strategies to minimising upfront and ongoing fees, we will work with you to find the right solution. We work on your behalf to ensure the cost of care is affordable, and your money will last. We negotiate with the Aged Care Facility of your choice and work with you to provide the right options for you so that you can make informed decisions. We will guide you and your family through your Aged Care journey, facilitating family meetings to ensure you have the right information to make informed decisions. We advise when and how to complete documents to ensure you have completed the process correctly and thoroughly. DID YOU KNOW… our chances of living longer are increasing as life expectancies continue to increase and as of 30 June 2018 there were 121,418* people in the national queue for home care. Read more below. 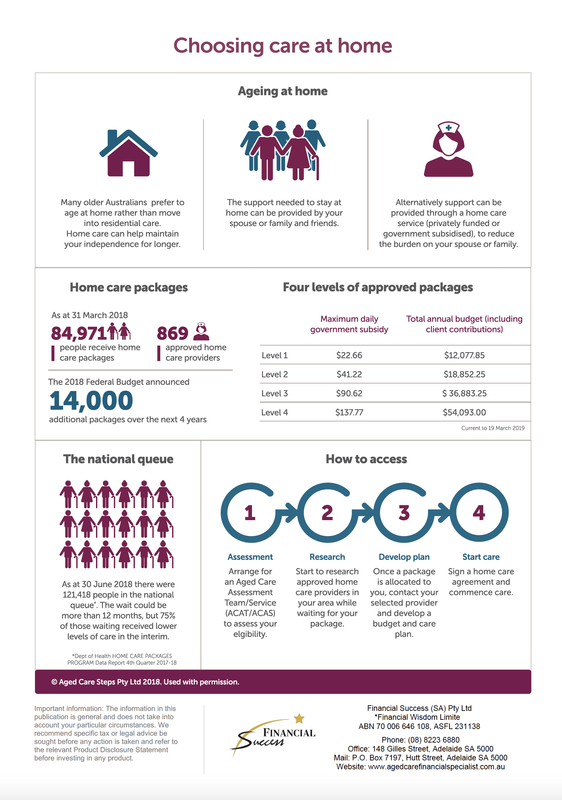 (*Dept of Health HOME CARE PACKAGES PROGRAM Data Report 4th Quarter 2017-18). We strive to take the worry and stress out of a loved one entering residential care. We want families to feel comfortable and happy with the financial decisions that they are making. © 2018 All Rights Reserved. Financial Success (SA) Pty Ltd ABN 68 114 614 838 is an Authorised Representative of Financial Wisdom Ltd ABN 70 006 646 108, AFSL 231138.